We believe that every party is different. We listen to your ideas and requirements and implement them to provide the perfect night for you and your guests. We have years of experience and know what makes a memorable night. We make sure everyone is catered for and enjoys the night. We have years of experience of being professional DJs. 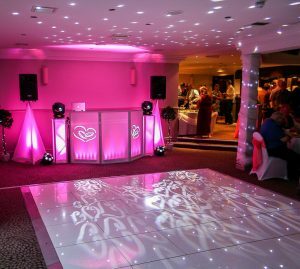 We have worked on hundreds of Weddings, Birthday Parties, Corporate Events and Tribute Nights over the years, and have a fantastic reputation. 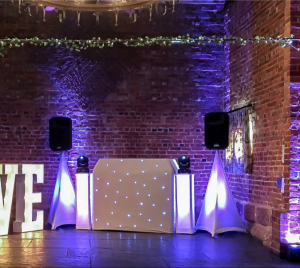 We have provided entertainment at countless wedding venues and hotels and worked for celebrities and corporate brands. Whether you need a mobile disco playing, 50’s, 60’s, 70’s, 80’s, 90’s or upto date club music. We can cater for your needs. – Free access to our online system for you to make requests in advance.